Last autumn I ran a series in which fellow wrters shared their own personal writing rules. I think what everyone appreciated about these guest posts was that as well as providing some new hints to try out, they also featured certain "rules" came up again and again, showing how important they are. Since the series was so popular, I have asked some more writers to contribute. 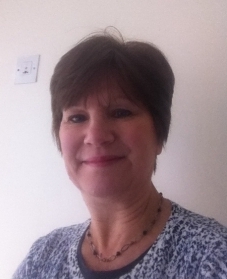 This week, I am delighted to welcome Carol Sampson. What's fascinating about Carol's post is that she has shared two tips that no one else has come up with. I have always been a voracious reader, enjoying most genres and styles, but until five years ago had no desire to write. Now, I have a good first draft novel which I am currently editing and have had some short stories published in Take A Break’s Fiction Feast. I write a blog about the struggles on the path of self-improvement and blog for Greenacre Writers. I also read and review books – generally for new writers trying to get there work ‘out there’. I was delighted to be asked by Susanna to contribute to her blog but then wondered if I had anything useful to say. After five years of learning to write I have found the following works for me. Get your story down in any form. When I started writing my novel I was obsessed with the mantra ‘Show don’t tell’ and began each piece of writing carefully crafting it, in order to obey this most basic of rules. However, on reading the piece back at the end of the day, the first paragraph or two was quite good but then deteriorated into ‘telling’ the story. This went on for quite some time and I became despondent as I just couldn’t write creatively and eloquently. I got stuck reworking and reworking the same few chapters. The progress, as you can image, was extremely slow. Then I decided to write the story – from beginning to end – as it came, just to get all the ideas down. The story moved along rapidly and produced a reasonable first draft with a plot that works (at least I hope so!). I am now in the process of editing and am happy to spend time reworking those bits that are just ‘told’. I think it’s swings and roundabouts. Some like to take time on the first draft to reduce editing time but I much prefer to get the whole thing down and then spend time improving it. I also found that by the end of the first draft I knew my characters a lot better than at the beginning because they had evolved with the story. Resist over-use of the thesaurus. A habit I have got into over the past year or so is to jot down words and phrases from books that I read and from things I hear on the TV and radio. They are often words in common use but due to my limited vocabulary do not automatically spring to mind! Initially, I looked up a simple word in the thesaurus to find a more intellectual one. I still do this but to a lesser degree. I have found, through reading and writing, too many long words slow down the story. It depends of course of what you’re writing but as I’m writing a suspense/thriller I think intellectual words need to be limited. I’m not suggesting for one moment readers of thrillers are less intellectual but that the nature of the genre requires a fast moving story. Words like preponderance, propensity and commensurate are fine when sprinkled in but overuse, I believe, interrupts the flow. Instead I try to use short but descriptive words. I love words like: dreary, dank and bleak; steeped, rummage and stilted. Simple words but ones that convey wonderful imagery. Eat before settling down to work. In the past, when hunger pangs appeared while I was engrossed in writing, I would make a quick cup of tea and grab the biscuits. It did the trick for an hour or so. Then I would make for the kitchen again, grabbing another snack and drink. I was up and down constantly but more importantly I found I tired very quickly and as the day progressed I became less productive. Also, in six months, I’d put on half a stone! Now, when I’m hungry, I spend ten minutes jotting down notes for the next piece of writing to maintain continuity and then take a half hour break to eat properly. A decent, filling but healthy, lunch or evening meal, plus a break from sitting at the desk, has proven very constructive. My mind is sharper and writing isn’t interrupted by constant trips to raid the cupboards. I had always discarded this tip as I fit writing between other commitments. As an unpublished novelist I write when I have free time. It is not yet my job. I was also of the belief that I needed at least a two hour slot to make sure I could write properly. However, having discovered the spread sheet on Google Documents - which I have been using with a colleague for my contribution to the Greenacre Writers website - I found my writing habits have changed. Having a deadline has forced me to work when I get even a free ten minutes. I only put up deadlines, not a daily working timetable but this has given me the structure I need. Although the first draft of my novel was completed some time ago I procrastinated, until recently, on editing it. Eight months went by and it remained in the drawer. Then I drew up a schedule on Google docs for the novel to be finished by October. This may seem very manageable to those of you who write regularly but the prospect of having a finished manuscript by October I found very exciting. I strive each week to meet my blogging, reviewing and novel deadlines and love using the ‘strike through’ when the targets are met. I wish everyone out there good luck with their writing – in whatever form it takes – and thank you Susanna for having me on your wonderful blog. Thank you for reading the blog and for your comments. I'm glad it's not just me that gets stuck on the showing and not telling aspect of the writing. Good luck with your writing in the future. Thank you so much for your comments and I think adding the word count is a brilliant idea so will do that in future. Good luck with your writing. Jan, I'm delighted that you, as one of the contributors to the original It Works For Me series, have dropped by to share your thoughts. I'm sure that paranoia about the "show, don't tell" rule is common among writers these days. It is such an important writing technique to learn. Thanks for your comments, Jen. I know what you mean about having a visual aid to monitoring your word count. One of the joys of NaNoWriMo is watching your personal graph go up and up. Lovely to hear from you, as always. Your support is much appreciated. I'm glad this series of blogs is continuing, Susanna, and thanks to Carol for sharing such useful tips. Eating and writing...the writer's dilemma! I will adopt this particular tip as I'm very bad at 'grazing' when I write. And, after my first, long Canadian winter in many years, I haven't walked as much as I usually do either. I echo the importance of getting the story down (especially for people like me who find first drafts tortuous) and working out a schedule. The latter becomes even more crucial once you sell. I've taken this schedule idea one step further and keep a spreadsheet to track my daily word count. It helps me to set word count goals and so satisfying to have a 'visual' reference when I meet them! Thank you for your comments Louise. It's surprising how much difference it makes to concentration if you eat properly! Thanks for your comments, Louise. It's good to hear from you again. I join you in wishing Carol all the best with her novel. I hope that she'll be here again on my blog one day to talk about its imminent publication. I'm not a writer, but I think it is interesting to see what makes writers tick. Carol's tip about her eating habits while working on her writing made me smile. But I suppose when you have a job that involves sitting down at a desk all the time, you have to watch the calorie-intake! Good luck with your novel, Carol.